Are you a first-time parent? No problem. Often, first-time parents struggle with the task of buying a stroller. After all, many first time parents are torn between buying a stroller or a bassinet. Well, there is a very simple solution to that issue. You should purchase a stroller and a bassinet in one—known as a bassinet stroller. Bassinet strollers are not only economical (in terms of saving on buying separately), but they are useful too. Not only will you have a bassinet for your child while they are below six months of age, you will have a nifty stroller once your child is of age, effectively killing two birds with one stone while also helping your wallet out too! Now, here are five of the best bassinet strollers on the market. Trendy Interface – The 4moms Origami Stroller and Bassinet kit gives you the ability to charge your phone for extended outdoor and indoor trips. Also, the LCD interface tracks the miles you walk, the temperature, and whether or not your child is in the seat. Easy to Fold – One of the best features about this stroller is that it folds automatically, earning the moniker, “Origami”. 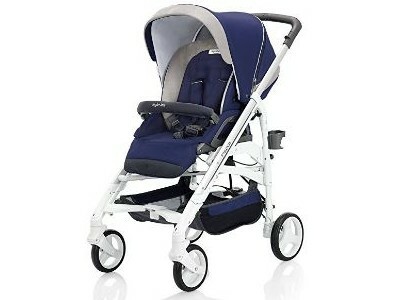 This allows the bassinet stroller to be compactly stored and it even unfolds at the press of a button. Offers Supreme Protection – The seat of this amazing stroller is oval shaped, which is designed to protect your child from all angles. The canopy is large and transparent, allowing you to always keep a watching eye over your precious one. With all advantages aside, one major downside of 4moms Origami Stroller and Bassinet kit is that it is expensive, compared to the other bassinet strollers on the market. With this stroller, however, you will actually be killing two birds with one stone anyway. Besides, you have to buy a bassinet anyway for children below six months of age. It’s Maneuverable – The front wheels are swivel wheels, which will allow you to navigate through crowded places and narrow passageways. The rear wheels will also safely lock in case you want to stop the stroller. It’s Compact – The Hot Mom 3-in-1 Travel System and Bassinet Baby Stroller has a one-click folding button and is easy to unfold. Also, it takes up very little space, which is optimum in tight situations—literally. Has a Height Adjustable Handle – Let’s be honest; carrying a bassinet isn’t always easy. That’s why this bassinet stroller features a height adjustable handle that makes it more convenient for parents of all heights to use the stroller without any strain. It’s Cost Effective – Being a 3-in-1 stroller, you can effectively use this item from the time your child is born to the time when he or she outgrows the stroller. Ultimately, this will save you a lot of money in the long run. Easy to Clean – We all know children have little accidents. However, when your child eventually has a little mishap, you can rest easy knowing you can clean this whole stroller with warm, soapy water and a damp cloth. Has Nice Storage – The seat basket has a nice storage for you to store all of your baby essentials, especially for long trips. It’s a Travel Stroller – With foam-filled tired, this stroller is made for travel. It also has linked parking brakes and can stop with a single step. 12 Different Seating Options – The seat is reversible and multi-recline. You can face the seat in 12 different positions using a car seat adapter. It’s Compatible – The Britax 2017 B-Ready Stroller is compatible with many car seats. You can even add a second seat and stroll two children, thereby making this stroller versatile and multi-use, even with twins! Has an Active Brake Lever – With an active brake lever, the stroller will stop as soon as the lever is pressed. 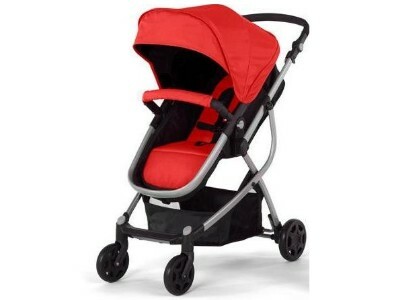 This adds a cushion of safety to the stroller with your precious newborn inside. Has a High Weight Capacity – The Inglesina – Trilogy Stroller with Bassinet can hold children up to 55 pounds, so you will be glad to know that this stroller can be used for a bulk of your newborn’s toddler years. Altered Canopy with Hood – Equipped with a large canopy and hood with a UPF50+ sun protection, your child will be wholly protected from the dangerous rays of the sun. 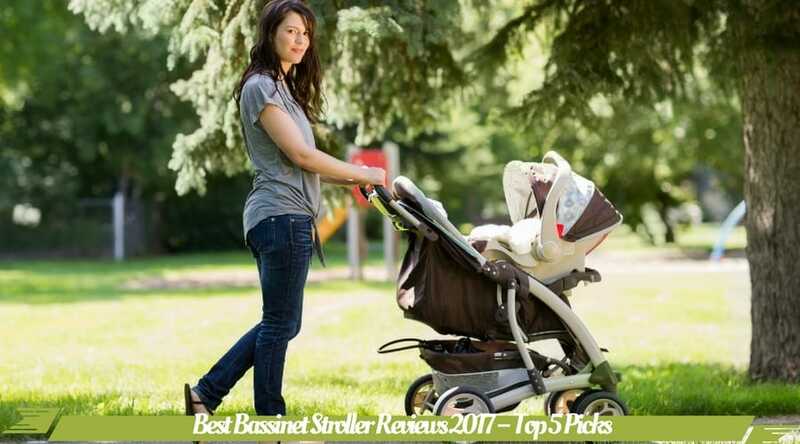 Although this is the best bassinet stroller on the market, the only downside is that you have to separately purchase the bassinet and car seat. It’s not really a big enough deal, however, to hinder a purchase, but this is just worth noting.